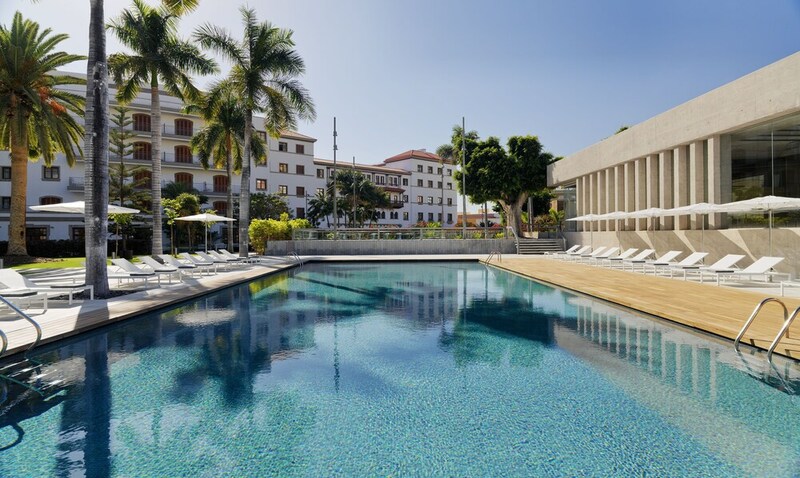 With a stay at Iberostar Grand Mencey in Santa Cruz de Tenerife, you'll be just steps from Garcia Sanabria Park and 14 minutes by foot from Plaza de Espana. This 5-star hotel is 5.2 mi (8.4 km) from Teresitas Beach and 0.7 mi (1.1 km) from Nuestra Senora del Pilar Parish. Make yourself at home in one of the 261 air-conditioned rooms featuring espresso makers and plasma televisions. Complimentary wired Internet access is available to keep you connected. Private bathrooms have deep soaking bathtubs and rainfall showerheads. Conveniences include safes and desks, as well as phones with free local calls. Head straight for the casino, or wait for that lucky feeling while you enjoy one of the other recreational opportunities, such as a health club and an outdoor pool. This hotel also features complimentary wireless Internet access, concierge services, and an arcade/game room. Getting to the surf and sand is a breeze with the complimentary beach shuttle. Enjoy international cuisine at Los Menceyes, one of the hotel's 4 restaurants, or stay in and take advantage of the 24-hour room service. Mingle with other guests at the complimentary reception, held daily. Relax with a refreshing drink at one of the 2 bars/lounges. Buffet breakfasts are available daily from 7:30 AM to 10:30 AM for a fee. Featured amenities include complimentary wired Internet access, a business center, and dry cleaning/laundry services. This hotel has 9 meeting rooms available for events.